On Wednesday, February 12th, the baseball world was dealt some shocking news. The Captain, Derek Jeter, posted a letter to his Facebook page announcing this season would be his final season as a player. The Twitter world was active in spreading the news, and #FarewellCaptain was trending following the announcement. This will be the 20th season for the legendary New York Yankees‘ shortstop, and he has had his share of iconic moments over the years. From the “Jump Throw” to his 3000th hit, Jeter has proved himself to be one of the greatest to ever play the game. 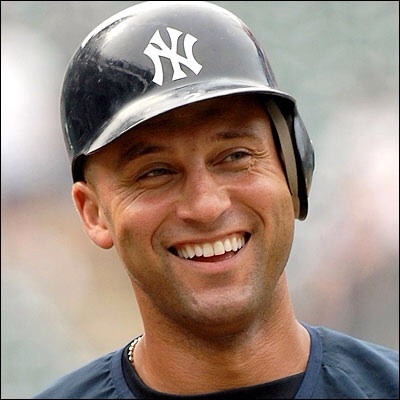 Love the Yankees or hate the Yankees, you just can’t hate Derek Jeter. What he has meant to the game of baseball over the last 20 years is almost beyond words. Through baseball’s black eye of the steroid era, he has been a pillar of integrity and the model player we would all like to resemble. Parents can trust that if their youth look to him as their hero, he will not let them down. Jeter is the third player in the last three seasons to announce his retirement prior to Opening Day. In 2012, Braves legend Chipper Jones declared that would be his final season. Last year, fellow Yankee Mariano Rivera told the world he would step away from baseball following the season. In both cases, the players were honored at the last game they played in each visiting stadium. For example, if the Braves played the Rockies, before the last game they played in Colorado that season, the Rockies would pay tribute to Chipper. Some may question whether that is the right decision, or if it would be better and more humble to simply hold a press conference after the season was over. However, especially in the case of Jeter, playing the season as somewhat of a farewell tour is completely the right decision. Over the last 20 years, baseball would not be the same game if he had not been a part of it. I remember when I was young my mom got me a book on Derek Jeter. While I was not a huge Yankee fan, I admired the talented player who is so valuable to the game. Announcing his decision when he did allows the league to appropriately thank Jeter for everything he has done for baseball over his career. Immediately following the decision, as one may expect, ticket prices for his home finale soared. As of yesterday, the average price was around $800. But wouldn’t ya know, his final regular season game in the Pinstripes is not at Yankee Stadium. It is at the home of their arch-rival Boston Red Sox on September 28th. Needless to say, that will be a closely watched spectacle. I do not hate the Yankees like many do, but I’m not a huge fan either. Just indifferent. If they win, great, if they lose, alright. But Derek Jeter is another story. He is a player so honored I had to dedicate a post as a tribute to his legacy. So Mr. Jeter, thank you. Thank you for being an inspiration to a generation. Thank you for being the honorable player we could look to through the hard times of scandal. Thank you for your dedication to this great game, and for your positive attitude towards it. Thank you for playing the game the right way. You will surely be missed. Assuming this is his last season as a player, Jeter will be eligible for the Hall of Fame in 2020. I think the only question is, will it be a unanimous vote?